In the past I highlighted the advantages of developing your Playful Enterprise Tribe: Purpose -> Passion -> Engagement Connection ; 5 Keys to making your E-Tribe tribal, Let’s Bring the Community Band Together! — 9 Tips For Success, Learn How To Play From Your Kids! Your whole organization will benefit from nurturing a culture of play. Play not as a specific game or activity, more a state of mind that brings new energy to the tasks at hand and sparks creative solutions. Play is the fastest way to create deep trust throughout your organization and your whole ecosystem. Play makes room for tinkering, trying out new things even if silly or especially if silly. While playing, you often build on the ideas of others. It creates an environment of collaboration. It breaks down barriers between departments and hierarchies, everyone can join in. It blurs the lines between customers, partners, and your company. Employees are more engaged if they can play. Playing is human. We connect deeply to our true nature when we play at work. Fastest way to diffuse tense situations is via humor and play. Helps develop and improve social skills. 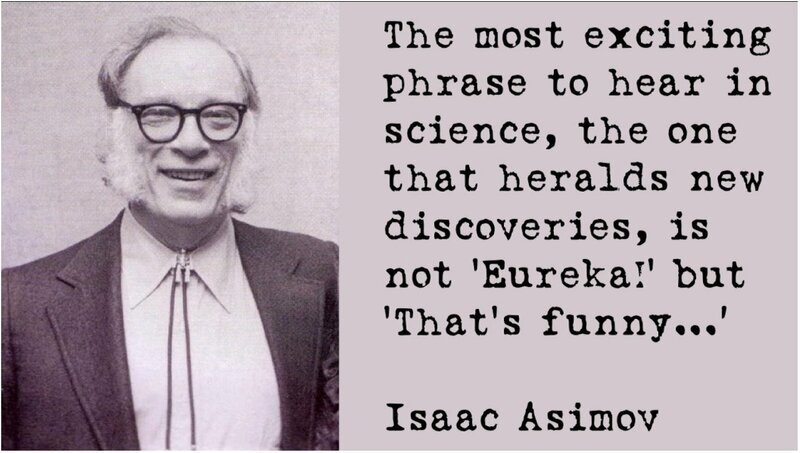 Only in environments where you are allowed to tinker along the lines of “That’s funny …” breakthrough discoveries will happen. This post is sketching the highlights of our current thinking. In the coming weeks we are going to explore that topic in more detail. We don’t have Playful Leadership fully fleshed out and invite you to join us on this journey. Hello Working-Out-Loud. How did playfulness help you at your work? Please share your stories. Also sign up for the Playful Leadership mailing list if you would like to always be informed when we post something new. 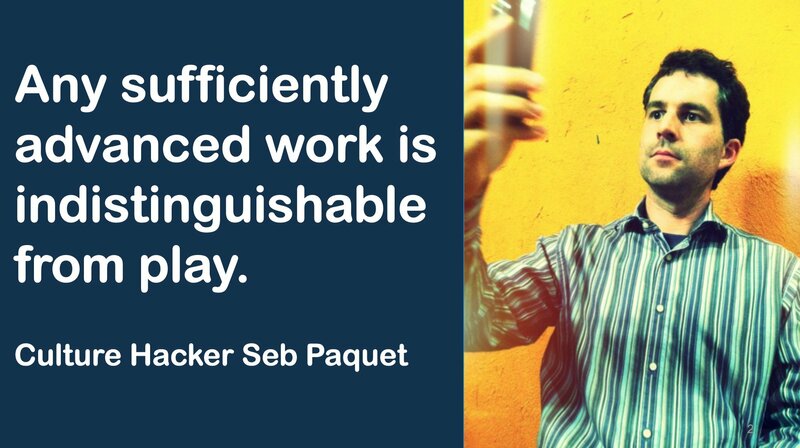 Seb Paquet freely building on Arthur C. Clarke’s famous quote: Any sufficiently advanced technology is indistinguishable from magic.